Happy Halloween everyone! Yup, the night of kids yelling in the streets and running around like sugar fueled demons is upon us once again. Depending on your point of view, I’m quite lucky to be in a low child area so I probably won’t spend all evening answering the door to all the little monsters! I do miss the excitement of my niece and nephew getting their outfits together though. They are a bit too old for trick or treating now. 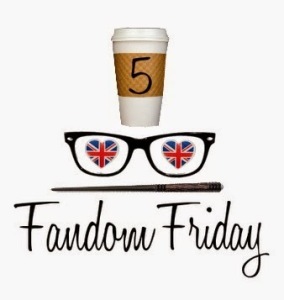 This week’s 5 Fandom Friday topic is “The Halloween Candy I Always Hope For When Trick Or Treating” so if you haven’t had breakfast yet, you might want to look away! I am absolutely addicted to Cadbury’s Creme Eggs and their Halloween offering of green goo Screme Eggs taste just as good! Here in the UK, Creme Eggs used to be limited to Easter time but now they appear in the shops just after Christmas. 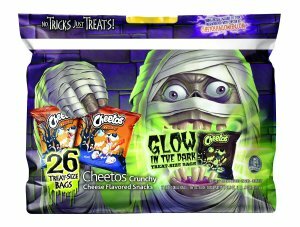 With the Halloween version, I don’t have to wait until then to get my fix of that gooey goodness wrapped in lovely chocolate! It was only a couple of years ago that I tasted Reese’s Peanut Butter Cups as they are not often found here but although I’m not a huge fan of peanut butter, I love these little chocolate snacks! I’ve not had the Peanut Butter Pumpkins but I bet they taste just as good! These Peeps are another American candy that was new to me but I’ve always loved squidgy soft marshmallow type candies. Cold even sent me a couple of packs in a care package when I was recovering from surgery! 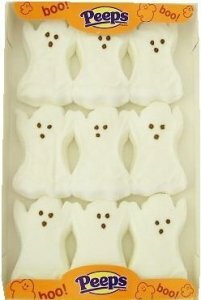 Following the Halloween theme, I bet these Ghost Peeps are just as good and so much fun for the kids too! Another firm favorite for me is Gummy Bears although, to be honest, I like most gummy type candies. 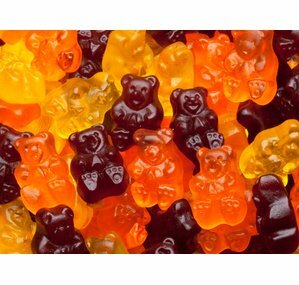 Gummy Bears were one of the first candies I remember as a kid along with Fruit Salads and Black Jacks but Gummy Bears didn’t wreck your teeth and pull out fillings like those did! ← Evolve Big Alpha Weekend – Win a Key!